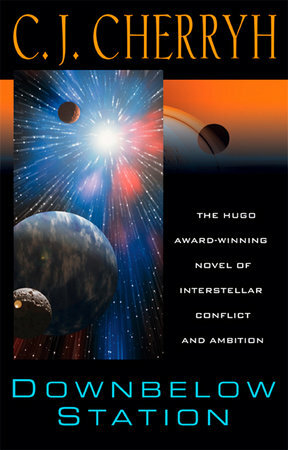 You can download C. J. Cherryh's Hugo award-winning Downbelow Station for only 1.99$ here. The best 2$ investment you'll make all year! Pell's Station, orbiting the alien world simply called Downbelow, had always managed to remain neutral in the ever escalating conflict between The Company, whose fleets from Earth had colonized space, and its increasingly independent and rebellious colony worlds. But Pell's location on the outer edge of Earth's defensive perimeter makes her the focal point in the titanic battle of colony worlds fighting for independence. A legend among sci-fi readers, C. J. Cherryh‘s Union-Alliance novels, while separate and complete in themselves, are part of a much larger tapestry—a future history spanning 5,000 years of human civilization. Here is the 20th anniversary edition of Downbelow Station, the book that won Cherryh a Hugo Award for Best novel in 1982. A blockbuster space opera of the rebellion between Earth and its far-flung colonies, it is a classic science fiction masterwork. 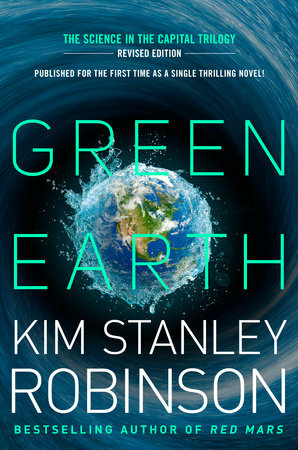 You can also get your hands on the digital edition of Kim Stanley Robinson's Green Earth for only 1.99$ here. The landmark trilogy of cutting-edge science, international politics, and the real-life ramifications of climate change—updated and abridged into a single novel. It’s a muggy summer in Washington, D.C., as Senate environmental staffer Charlie Quibler and his scientist wife, Anna, work to call attention to the growing crisis of global warming. But as they fight to align the extraordinary march of modern technology with the awesome forces of nature, fate puts an unusual twist on their efforts—one that will pit science against politics in the heart of the coming storm.